Automobile glass is specifically designed to serve certain functions, and its integrity is crucial to your vehicle’s safety. When your windshield, side window, or other auto glass is damaged, it needs to be fixed right away—and it needs to be fixed the right way, to ensure that your vehicle operates safely and as intended. But… what is the “right way”? How should your glass be fixed? Since 1990, the Auto Glass Safety Council (AGSC), has guided the auto glass industry and set the standards for auto glass repair, replacement, and installation safety. The AGSC’s standards provide stability, uniformity, and quality control within the industry and give consumers peace of mind that they’re getting the “right” service. 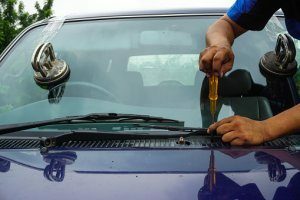 These standards also increase professionalism in auto glass businesses and increase public awareness of auto glass safety issues, among other things. The AGSC’s standards are set out in the Automotive Glass Replacement Safety Standard (AGRSS). Developed with the help of the American National Standards Institute (ANSI), the AGRSS dictates the standards for education, training, and professional practices within the industry, ensuring that consumers receive dependable service from qualified technicians. Any auto glass shop that you choose for windshield repair or replacement must follow AGRSS standards. And don’t be afraid to ask if they do! They should be proud to confirm their compliance. At Three Rivers Auto Glass, we strive to not only comply with but exceed, these standards. Our technicians have all received the required training and pursue continued education to keep on top of changes, developments, and trends in the auto glass industry. We strictly adhere to the AGSC’s standards regarding all aspects of safety and maintain all necessary certifications, as well as other affiliations. If your vehicle has incurred windshield or other auto glass damage, call us to set up an appointment for mobile service or in-shop service at any one of our six greater-Pittsburgh area locations. We have provided premier windshield repair, windshield replacement, and other auto glass services in and around Pittsburgh for over 40 years and are dedicated to excellence in everything we do. Let us use our expertise to serve you.